Click Settings on your remote control. Click EZ Setting. 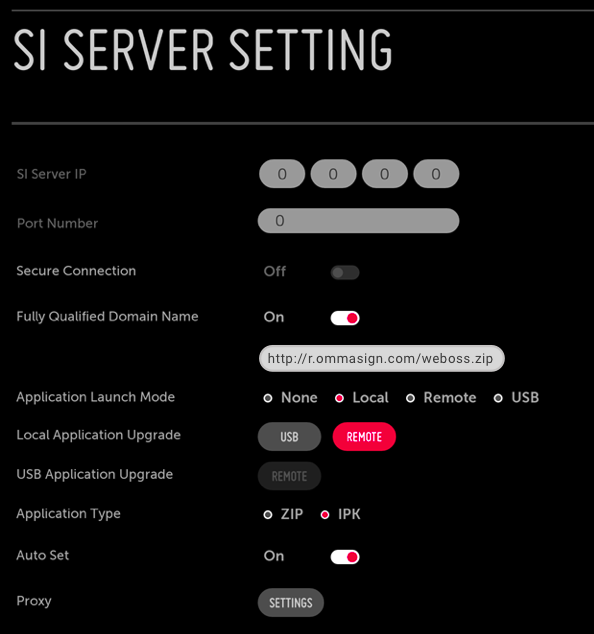 Select SI Server Setting. 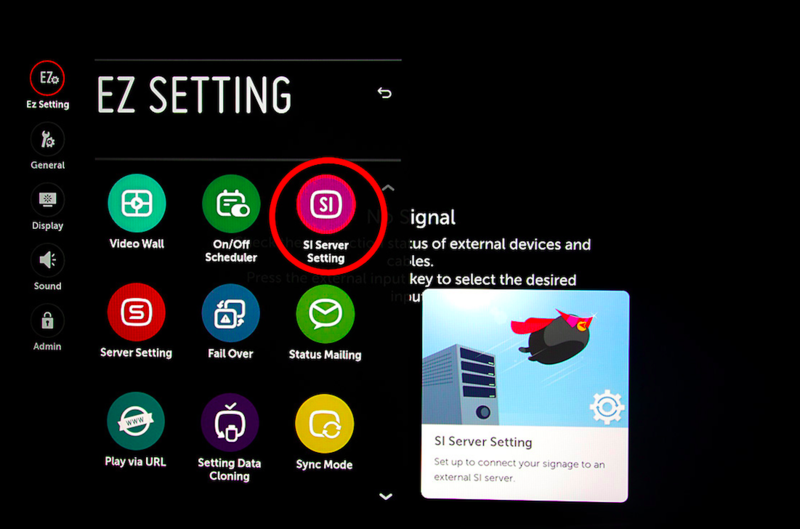 Select application launch mode as Local. Make fully qualified domain name field On. Select remote for the Local Application Upgrade field. When OMMA Player app is installed successfully, you will see a complete information. Click OK. Turn display off and then turn it on again. When you turn your display on, you will see the screen below. This means the application upgrade is in process and soon to be completed. 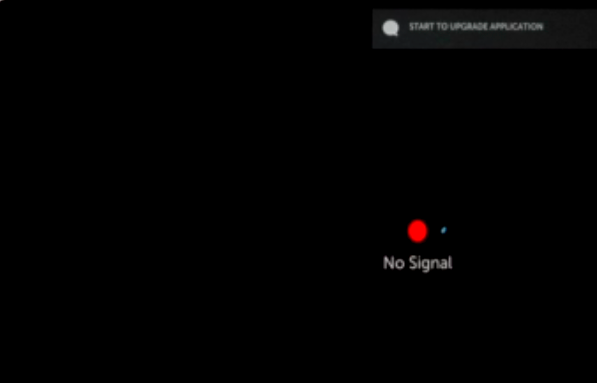 When upgrading is completed, you will see the screen below. OMMA Player app starts automatically. 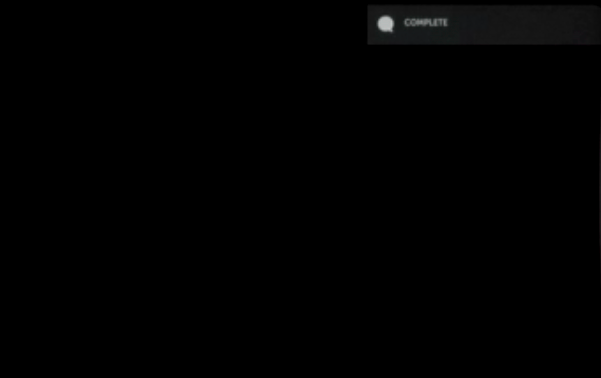 A code appears on the screen. 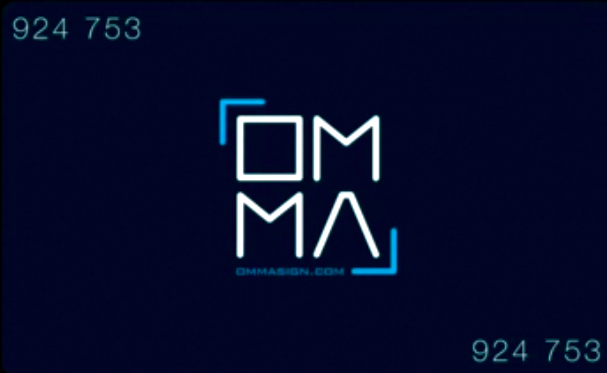 This is the code you use for registering your device to OMMA admin panel.